We had a contractor install our soon-to-be white trim. 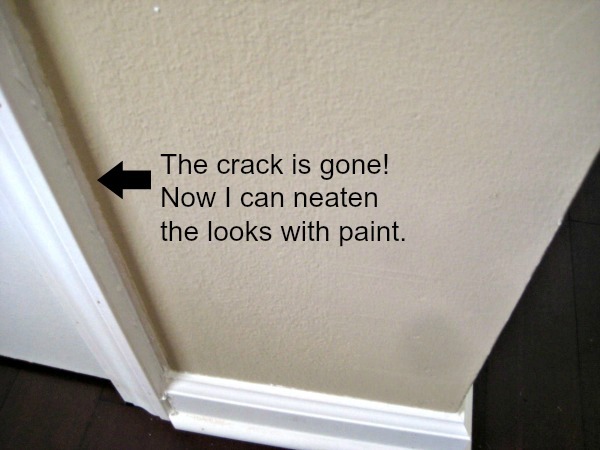 It isn’t white yet because it hasn’t had any caulking. I began applying it last night, and I have to say that I am very pleased with the results. Once it cures, it can be painted. Contractors installed the trim and they are much faster than we amateurs. One tube goes a long way. 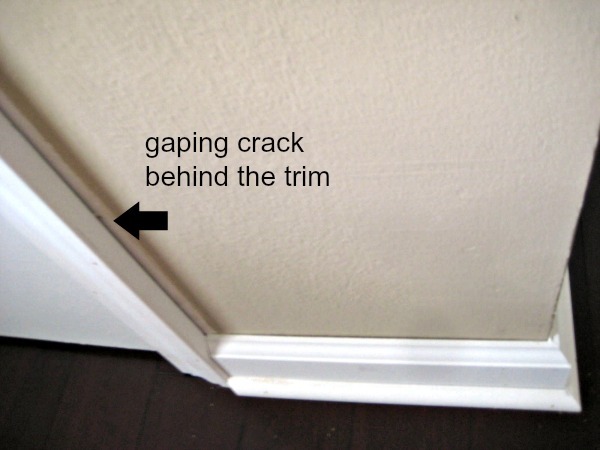 Although the seams are long, the cracks are small. Except for this one. Our doors are janky because the walls are out of plumb. Or never were plumb. I am very excited to get the trim finished. I can’t wait to see it all bright and white. 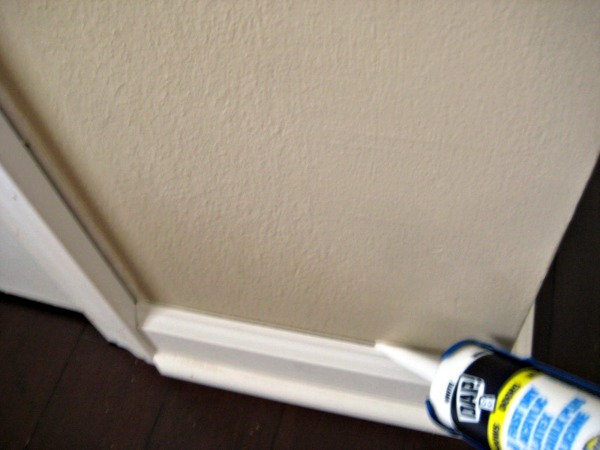 This entry was posted in remodeling and tagged caulking, DIY. Bookmark the permalink.